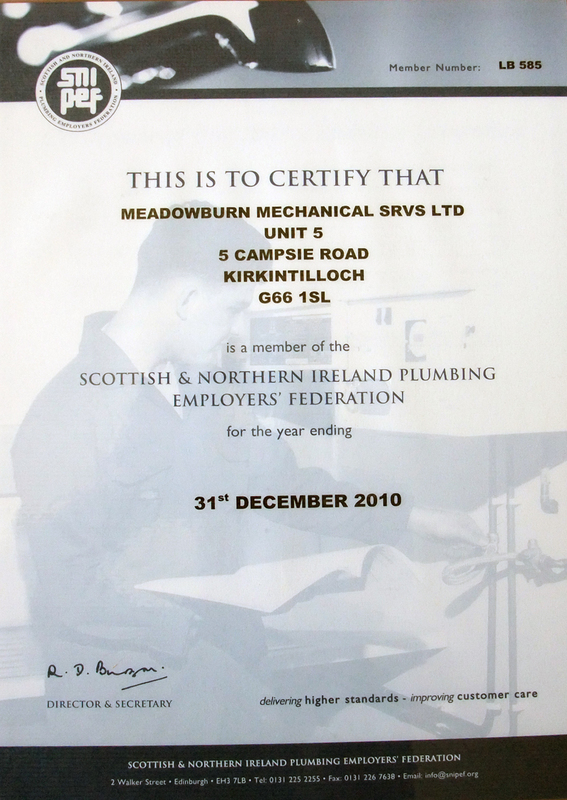 Meadowburn Mechanical Services Ltd is a member of the Scottish And Northern Ireland Plumbing Employers' Federation. 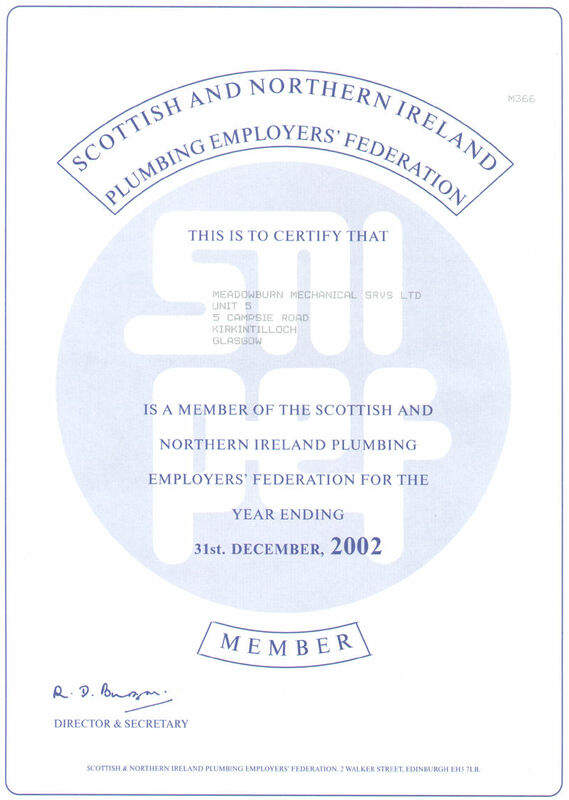 SNIPEF is the national trade association for all types of businesses involved in installing and maintaining plumbing and heating systems in domestic and commercial properties throughout Scotland and Northern Ireland. Established in 1923, SNIPEF has introduced a number of benefits both to our members and to customers who use the services of a member firm. Those domestic customers who use a SNIPEF member can be reassured that all members are backed up by an independent complaints procedure and warranty agreement, in the event that something goes wrong.